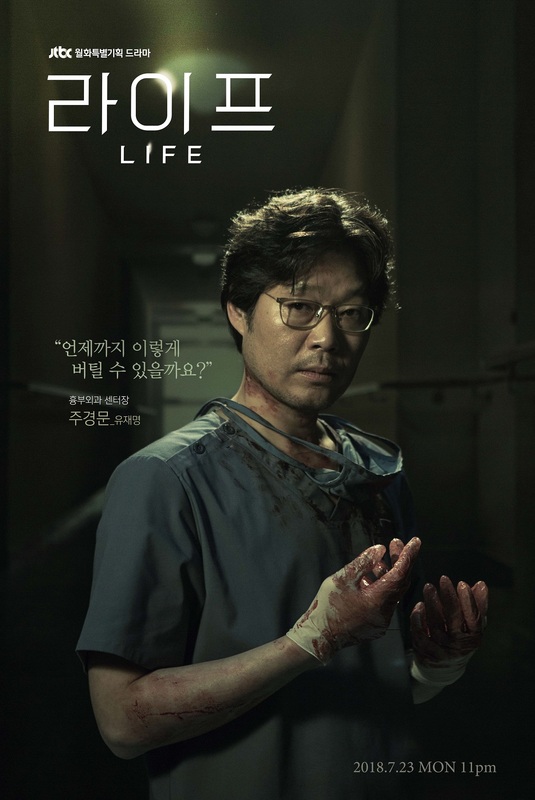 "Life" is a medical drama dealing with power struggles within the hospital. JTBC will air a special episode ‘Life: The Beginning’ on 17th July. Yay, great news! Lee Soo-yeon, the scriptwriter for recently ended Forest of Secrets, is already preparing for her next drama, which is due out sometime next year. She’ll be making a genre and station jump for the new project, which will be a medical show for JTBC. I’m not a huge fan of medicals, but if it’s this writer, I’ll definitely be checking it out. It’s hard to believe that legal thriller Forest of Secrets was Lee Soo-yeon’s debut drama, since it’s so well-written and plotted out. I’m still catching up on it (and trying really, really hard not to see any spoilers), but it’s definitely one of those shows that has that trifecta of great acting, writing, and directing, so it’s exciting to hear that she’s already at work on her next project. Cho Seung-Woo & Lee Dong-Wook are cast in new JTBC drama series “Life” (Korean English title). The two actors will play lead male roles. Story for the drama series is set at a hospital and the screenplay is written by Lee Soo-Yeon. Cho Seung-Woo and screenwriter Lee Soo-Yeon previously worked together in 2017 tvN drama series “Stranger.” For drama series “Life,” Cho Seung-Woo will play a hospital chief director and Lee Dong-Wook will play a doctor. 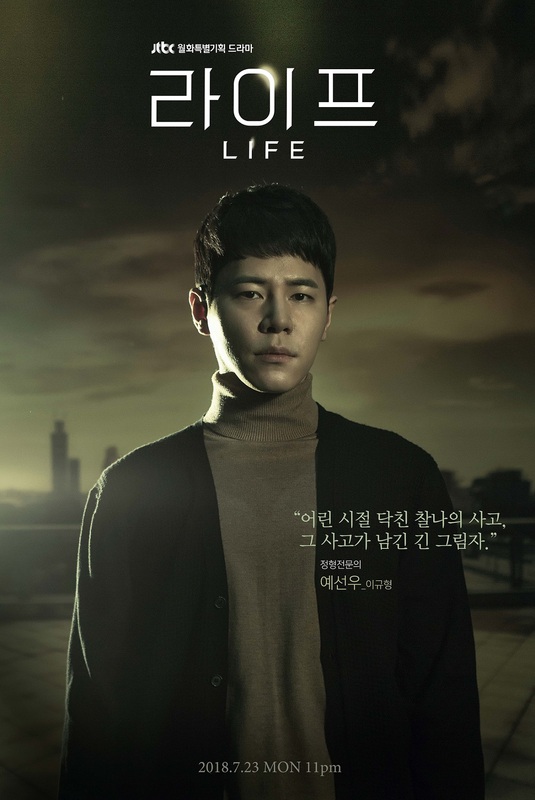 “Life” will air sometime this year in South Korea. I am so happy that Lee Soo Yeon announced her new drama already and I will see Cho Seung Woo again. I like Lee Dong Wook too. Great news. I am optimistic about this drama. Now I want more informations about this new JTBC drama. Life is not a medical drama that deals with conventional surgery, but focuses on the power struggle within the hospital. 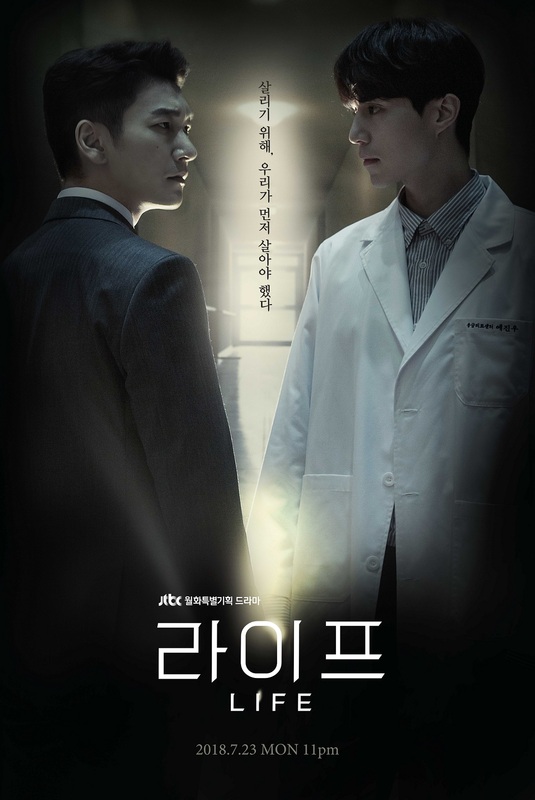 Lee Dong-wook is a doctor and Jo Seung-woo is a director of a hospital. 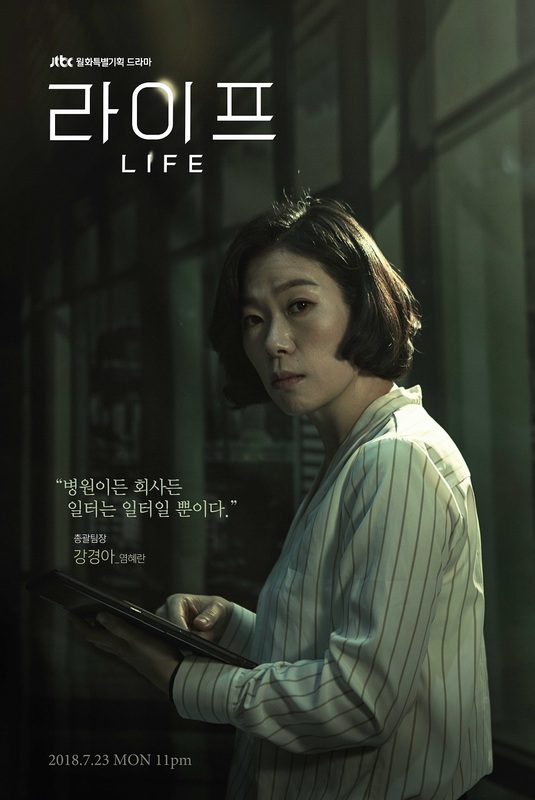 'Life' is attracting more attention because it was written by Lee Soo-yeon, who showed unusual writing skills in TVN drama 'Secret Forest' last year. Actors Lee Dong Wook and Cho Seung Woo have joined the cast of the upcoming JTBC medical drama “Life” (working title). 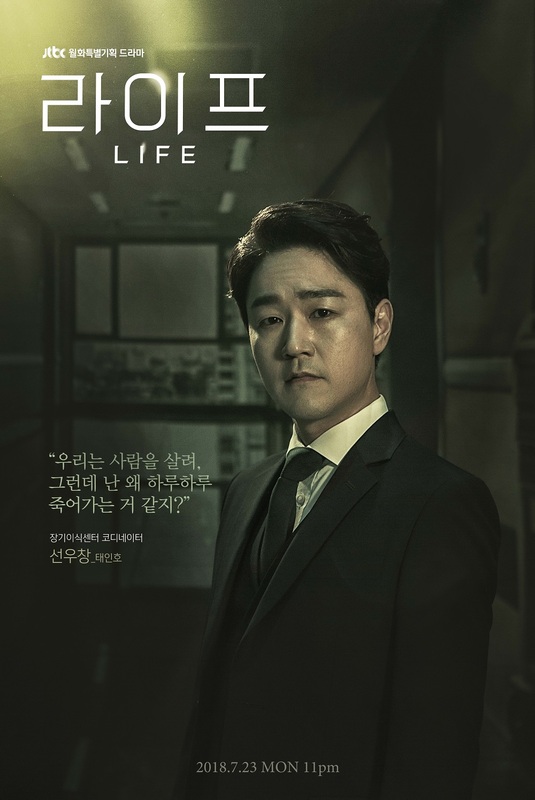 “Life” is penned by writer Lee Soo Yeon, who debuted with the 2017 tvN drama “Stranger” (also known as “Secret Forest”), which also starred Cho Seung Woo. On January 8, it was confirmed that Lee Dong Wook and Cho Seung Woo are taking leading roles in “Life,” with Lee Dong Wook playing a doctor and Cho Seung Woo taking the role of the chief director of a hospital. “Life” is planned to premiere in 2018. @larus I am beyond excited!!!!! I lurveee both Dong Wook and CSW (especially after Stranger. I came looking for this as soon as I found out the news! I am excited too. Hope the writer will deliver another good drama. I get the same vibe of another medical drama like KBS drama Brain. In the power struggle inside the hospital we`ll have good professionals, rivalry, lots of big egos, career affirmations. I just have a new wish: to have, at least, a good female character in this drama. It looks like the men are in center of this story but I hope the writer will give us good female characters too. Fingers cross. I am waiting for more information abouit the cast,about the plot and about the airing date. 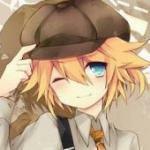 @larus Ye you started the thread. Thanks. Count me here. We all love Strangers! and Le Dong Wook and Cho Seung Woo. And Lee Seo Yoon the writer. And I like that it's on JTBC (has become a fav) So this will only be the writer's second drama? Kdramaland needs new fresh writers and glad to see another drama from a good one. @triplem nice you're gonna watch this too. I'm gonna see those quick recaps too. @bebebisous33 It's still casting news but tagging you already! So this will only be the writer's second drama? Kdramaland needs new fresh writers and glad to see another drama from a good one. You are on board too! YAY! Yes, it is her second drama. 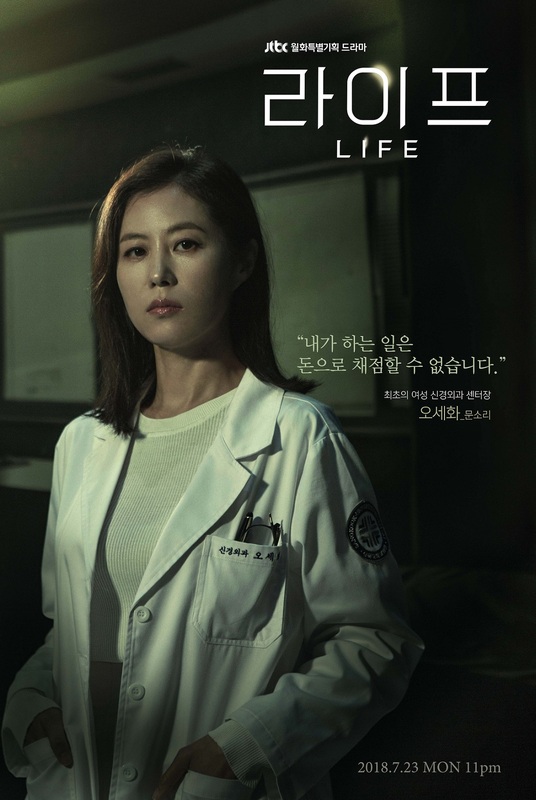 I know that it was anounced Forest of Secrets/ Stranger second season after Life so, I thought she won`t do the medical drama so soon. I am glad she will write this too. And I hope she will write Stranger 2 as well, hopefully this year. @larus Thank you for creating this thread. 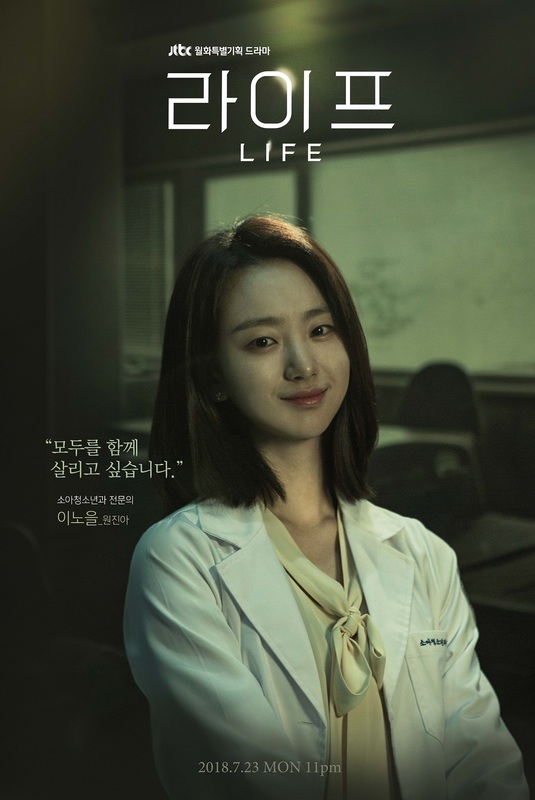 The writer is a must watch, hopefully a new approach to typical Doctor Kdrama. According to a broadcast affiliate, both actors have been confirmed to appear in JTBC drama 'Life' (tentative title) written by Lee Su Yeon notable for tvN's 'Secret Forest'. The drama had received positive reviews for its strong storyline and character development. I don`t know what is a typical medical Korean drama. I watch a few but I can`t say I noticed. Or maybe I do. It has power struggles between hospital. I don`t know why medical kdramas are so disliked. All dramas need a set up, the Korean dramas are similar and some of them have medical theme, just like others have a legal theme , office.... so on. Stranger/ Forest of Secrets was a thriller but it had corruption in the prosecutor office and beyond. About this drama, they have already said that Lee Soo Yeon`s new drama will not have a medical drama that deals with conventional surgery, but focuses on the power struggle within the hospital. Just like the legal aspects were just a tool in Stranger, medical field will be the same in Life. For me, the modern dramas with power struggles remind me of sageuks. 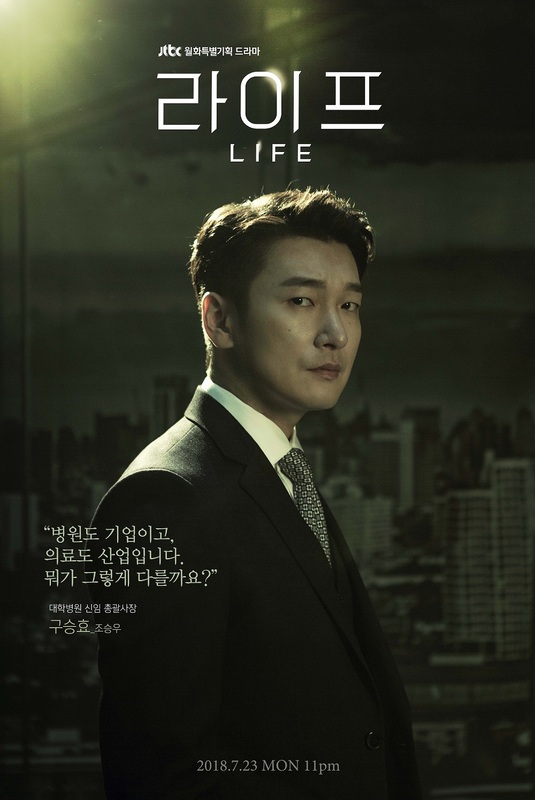 I have a feeling that Cho Seung Woo`s role will be the "antagonists" just like Yoo Jae Myung/Lee Chang Joon was in Stranger, and I am looking forward to see that. I am still excited for this drama. I am sure we`ll have other interesting characters to see. Let see the whole cast. I mean power, and money struggle. Always in all medical kdrama, but in real I don't know much about Korean medical practice, but in my country, what giving headache to people who works or related to the industry is always budget. How government cut the budget, until some government hospitals are re-cyling single use devices to save money. The money is there, but not channel properly. As described from the short synopsis, power struggle is the main theme, but since the writer is already known based on her successful debut, I hope new approach of how they face and challenge the struggles. So far I found ER or Emergency Room documentaries are the best e.g the Waiting Room. To me Wookie's eyes, are sharper than the X ray radiation. He can operate my chest and X-ray my heart. I doubt that we`ll have an accurate Emergency Room set up in this drama. I have a feeling it won`t be like you want, it will be a typical power struggles we see in any kdrama. I bet it will be a private hospital and we hear a lot about VIP section. I just want a good drama, a drama with interesting characters, to get drawn in their struggles/ twists. I don`t care if the set up is a medical field. I enjoyed the drama Brain and I will start soon MBC The White Tower (who always wanted to watch but did not get an opportunity but now , MBC will air again this medical drama so I will watch it). If Life will be like these two medical dramas, I will be happy. Of course, for sure they unable to have accurate tension/procedures like a real ER, but as long as no cutie pie, ducking faces, extreme shouting, extra long finger nails for nurses or doctors, or any ridiculous acts -I think I'm OK. So far I love the combo of the lead actors. I know that it was anounced Forest of Secrets/ Stranger second season after Life so, I thought she won`t do the medical drama so soon. I am glad she will write this too. And I hope she will write Stranger 2 as well, hopefully this year. "This project was first announced last summer, but with the addition of these actors, it’s got my attention all over again. If you’re concerned about the fate of the Forest of Secrets Season 2 that’s in the works, don’t worry: Lee Soo-yeon has said that Season 2, while still just in the early discussion stages, would be next on her list after Life. So the scheduling of this shouldn’t affect the other show." Glad to hear that. Cho Seung Woo will be in three consecutive dramas of this writer. I hope the writer is inspired enough to do the second season of Forest of Secrets but I guess she can write better a new story with familiar characters. I am sure won`t have these. So far, Lee Soo yeon had a good ensemble cast in Forest of Secrets. She can makes the audience to not concentrate on unimportant things/ some flaws because she gives us a good plot/ characters. ANY OTHER ACTRESS IN TALK FOR THIS DRAMA? That`s a good question. We don`t know yet the other cast. I really want a good character for an actress. We all know that those two men are the central of the story but they can have a strong female character mingling with them. Let it be someone as an equal and not a rookie doctor who are seeing these two with infatuation. I root for a female doctor who will give a hard time to both of them. If previously Bae Doo Na was writer choice, I'm sure this new will try to get the same talent wise. Probably we can get additional casts within this week. Yeah... she had Bae Doo Na in the drama . Even Shin Hye Sun was a good choice, as she is a talented actress. I think both female character were good written but I wish the heroine in drama Life will be a little more present in the plot. This new drama is male centric as well but I am looking forward to see the actresses too. If we`ll get more information about the cast this week will be great. I am curious if the drama will follow Misty in the time slot. Stranger/ Forest of Secrets was pre produced. Hope they are ready and will start filming as soon as they put the cast together. New informations about the two male leads. 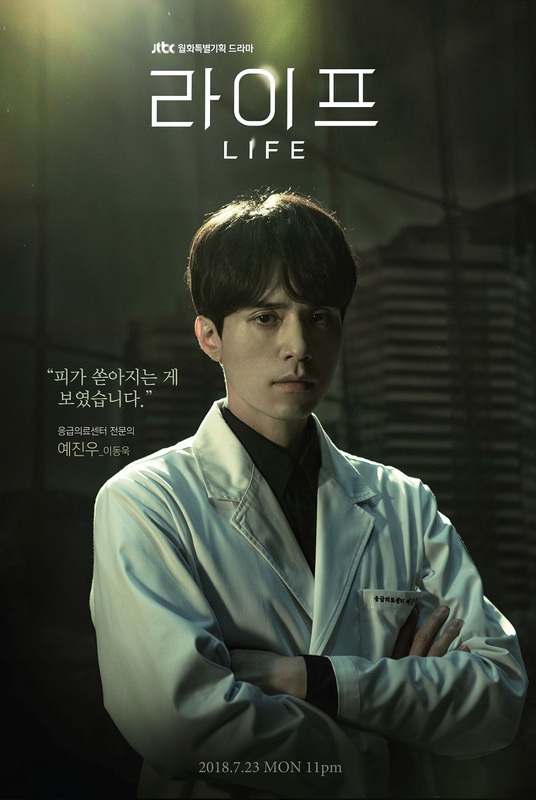 In the medical drama 'Life', Cho Seung-woo is the president of the university hospital, Seung Hyo Lee, and Lee Dong-wook plays Jun Jin-woo, a specialist at the emergency medical center of the university hospital.